Hi everyone! 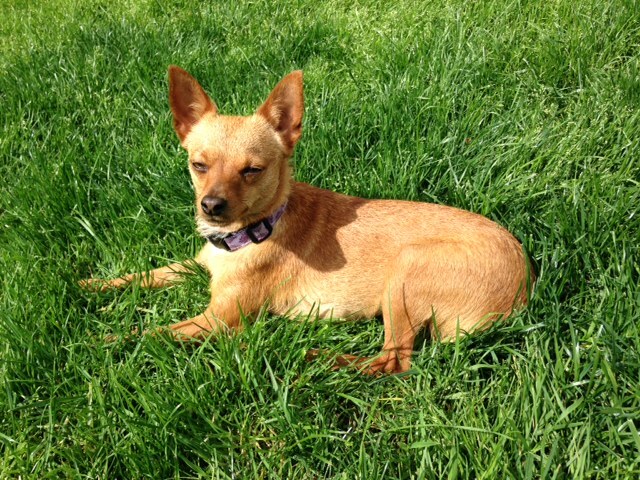 My name is Ginger and I am sweet little 1 year old Chihuahua mix who would just love to be the center of your world. I am definitely a small town girl living in the big city and am still trying to get used to all the new sights and sounds. I am a very sensitive lady and am looking for a low key and quiet environment with no kids and with someone who is patient, understanding and most importantly-very loving. 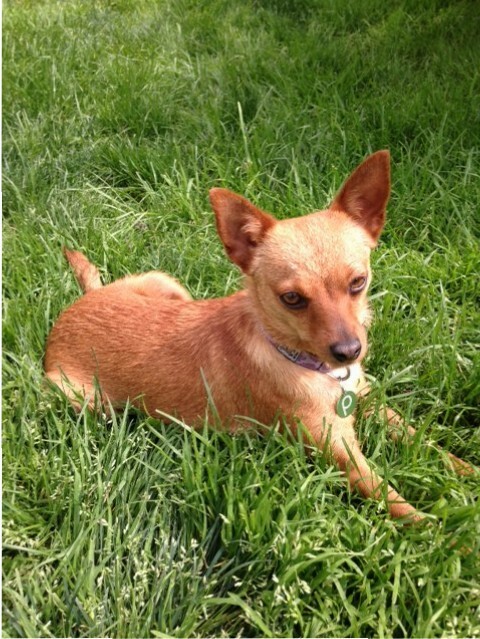 After a little bit of time and a lot of treats, I would love to be attached to your side with lots of cuddles. This means I would do best with someone who can stay with me most of the day. So worth it, for I have so much love to give! I like to go for walks, but then get worn out after a half a block or so and then it’s snuggle time on the couch! I am very smart, learn very quickly, and am highly treat motivated. I am potty trained and know how to “come” and “sit”. My foster says I am very playful, but really just love a warm lap. If you think you have the perfect lap for me, then fill out an application today so we can meet! I come to you spay, vaccinated, and micro-chipped with an adoption fee of $250.